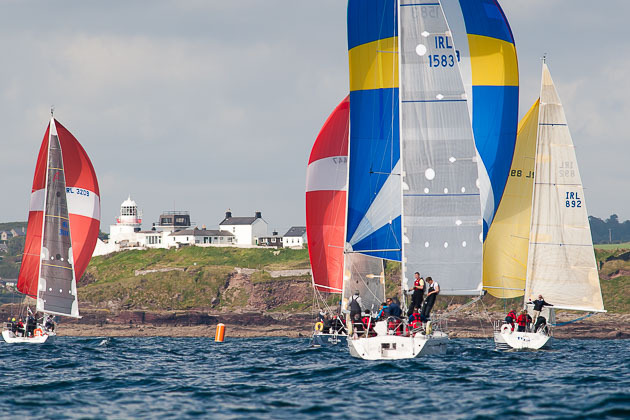 The Royal Cork Yacht Club was in festive mood today and was a hive of bustling sailing activity with an abundance of good humour everywhere. Also eagerly awaited was the rugby match between Ireland and Romania for which special viewing facilities had been set up in the main dining room. Some twenty seven yachts in Classes One, Two and Three were in the outer harbour. 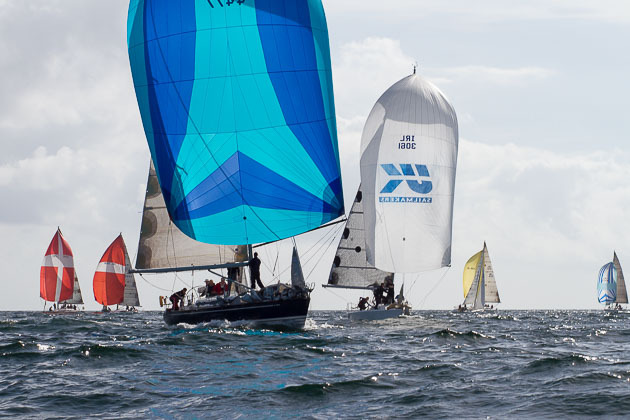 They were sailing a windward /leeward course for Race One, using the Harp mark as the leeward mark. For the second race an added dimension was the fact they were brought in by Race Officer Peter Crowley to finish at the Cage. Rob McConnell’s ‘Fools Gold’ is as usual sailing well and is leading IRC One with Conor Doyle’s ‘Freya’ Second and Mary O’Keeffe, helped on by an excellent start lies third. In Class Two it’s a question of rounding up the usual suspects with the Desmond/Deasy/Ivers ‘Bad Company’ Leading Deirdre and Paul Tingle’s ‘Alpaca’ in second and T.E. Crosbie’s ‘No Excuse’ in third. In this class Misfortune in the way of a flying shackle on ‘Cortegada’ hit a crew member of the head causing the yacht to retire from the race. Happily, after treatment in hospital, the injured crewman is home and well. 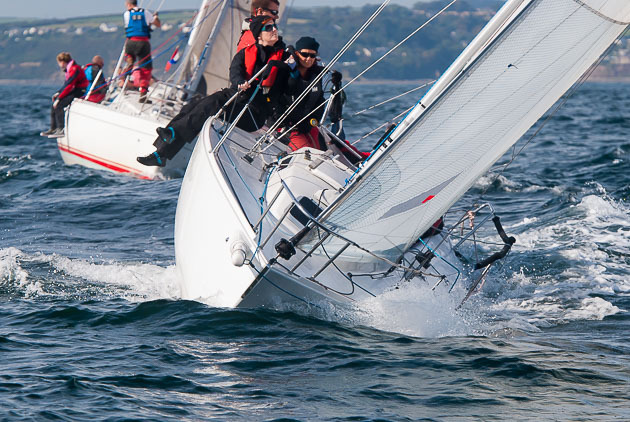 Meanwhile, almost forty boats were saiing inside the harbour including ten 1720s and after three races the 1720 positions are – Gary Rhodes ‘Heroes and Villians’ leads Denis Murphy’s ‘Aquatack’ with Kinsale raider Bobby Nash’s 1601 in third place.. In IRC Four it was nice to see a visitor that we don’t normally see at the Autumn League. Denis Byrne was sailing ‘Cracker’, a cruiser/racer version of a Starflash quarter tonner. 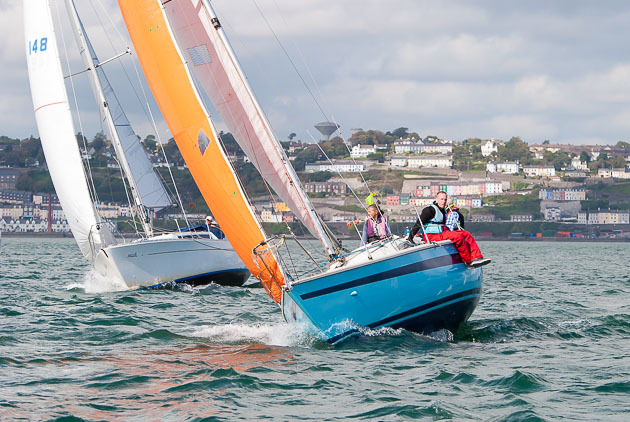 Kinsale’s Alan Mulcahy, who is a very frequent and popular competitor at the club was in his newly acquired Albin Express ‘White Magic’, lies in second place. In third position was Rene Wubben of WHSC in his Albin Ballad, ‘Seven Whistler’. 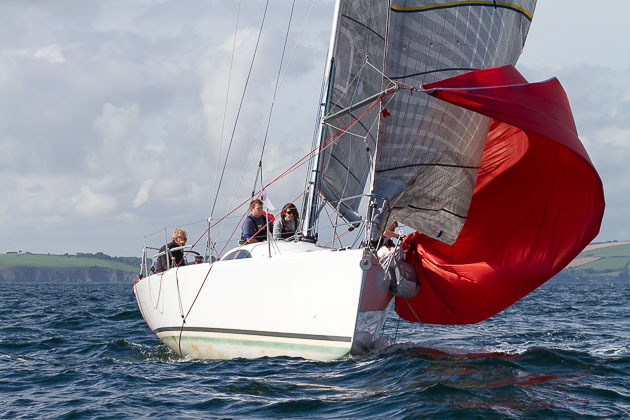 In White Sail Two Tom McNeice’s ‘Minx’ lies in first place with Ian Hickey’s ‘Cavatina’ second followed by the O’Mahony ‘Loch Greine’. It would be remiss of me to close this piece about the very successful first day of the CH Marine Autumn League without describing how the harbour was at its very best today. Conditions were ideal with sun and breeze. 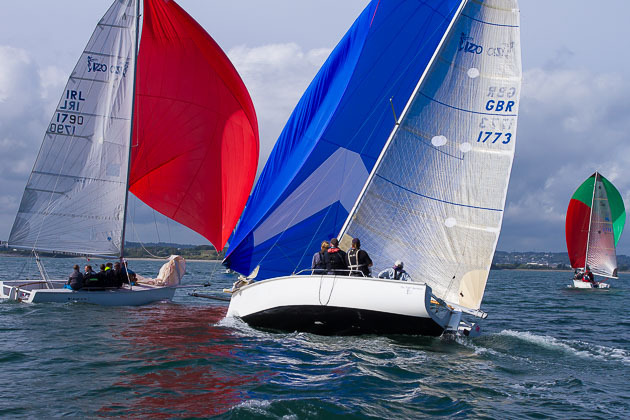 In addition to those competing in the Autumn Series, there were Lasers, Optimists, people just enjoying sailing and motor boating and in general enjoying a family day on the water. There were boats to the left, boats to the right, boats in the centre and boats on all sides of the harbour. Truly a sight to encourage people to take up water based activities. 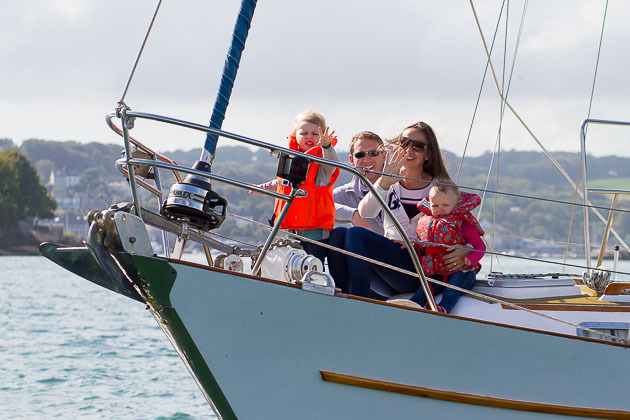 Cork Harbour is certainly alive and well. Racing continues next Sunday , October 4th, 2015.